Watch any walk through at a dog agility trial, and you'll see some competitors with those white earbuds stuck in their ears. While a few competitors are listening to music in order to drown out any negative comments being made during the walk through, other competitors are listening to music because they understand the power of music on the human brain. These competitors are getting a leg up by using music to push their mental game to a higher level. Studies have scientifically proven music affects our brains. When music is played, the human brain "lights up," and there is an increase in brain function, according to these studies. 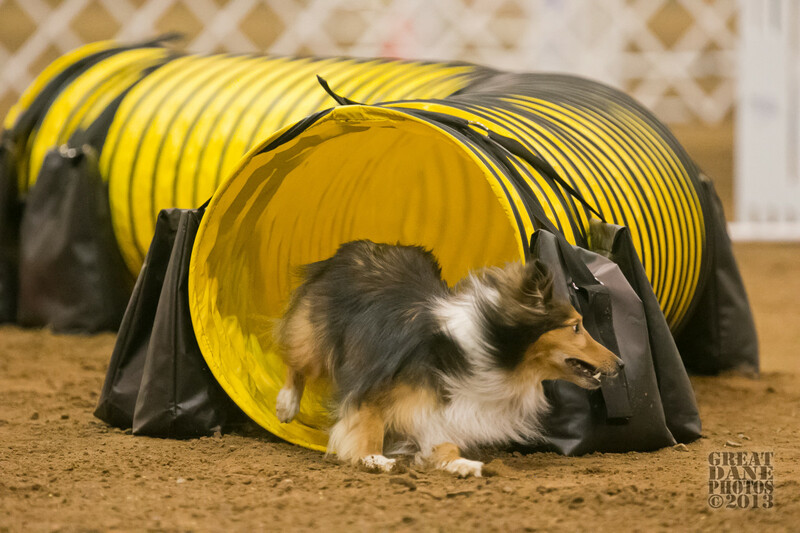 This knowledge can help the dog agility competitor further her agility game simply by adding music into her pre-run ritual..
Dog agility is heavily influenced by the handler's ability to control the mental side of the sport. Negative thoughts and feelings, inability to focus and even lack of motivation directly affect a team's ability to perform well. Paying special attention to mental control can increase a team's success. So, if music is known to influence the brain and mental control is an important aspect of the sport, agility competitors should probably be paying closer attention to what they have on their agility playlist. If they don't have an agility playlist, they may want to consider creating one. You might be thinking all of this is good, but what does the brain do when the earbuds are removed? Do the benefits of music on the brain remain after the music goes away? 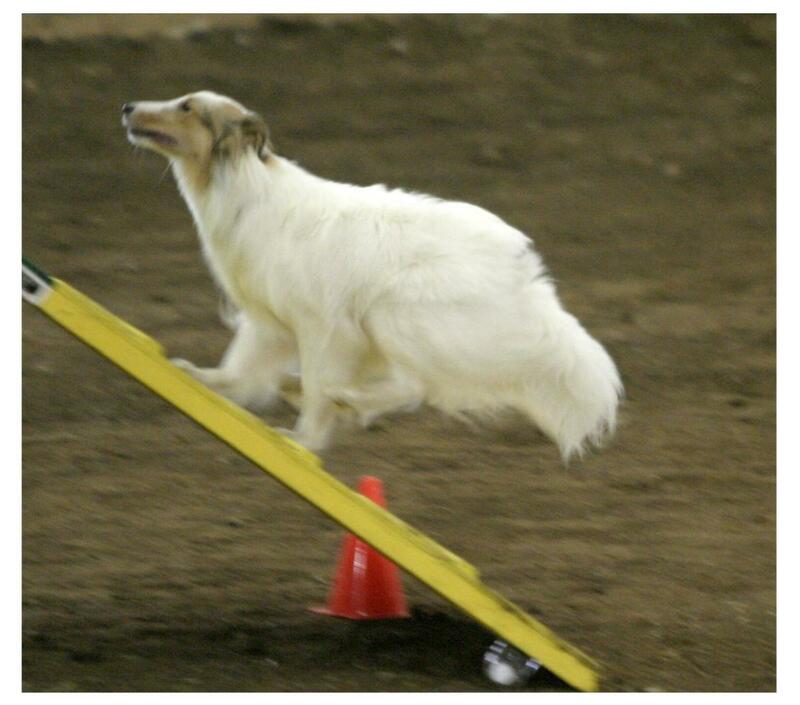 After all, an agility competitor can't wear their I pod in the agility ring. "Tonight, we are young. Let's set the world on fire. We can burn brighter than the sun." According to MRI studies of the brain, this lit up my frontal cortex, which deals with higher mental functions and working memory. Both of these are skills that could help me with the soon to be agility run. In addition, the emotions of the lyrics of the song pushed my mental game even higher. Aslan and I are both older, but at that moment regardless of our limitations, we were going to run like we were young. With that echoing in my head and my frontal cortex lit up, I went into the ring focused and ready to give everything we had. And we did. While studies on how different types of music affect the human brain continue, here is a very unscientific list of songs that competitors might consider adding to their agility playlists. Musical tastes vary greatly from person to person, and these songs may or may not fit what you find lifts your emotions and prepares you mentally for agility. However, these songs will give you a starting point to begin to assemble a playlist of your own. I actually have several different agility playlists. Some are motivational songs that help keep me from burning out in agility. These songs are highly emotional and personal to me. 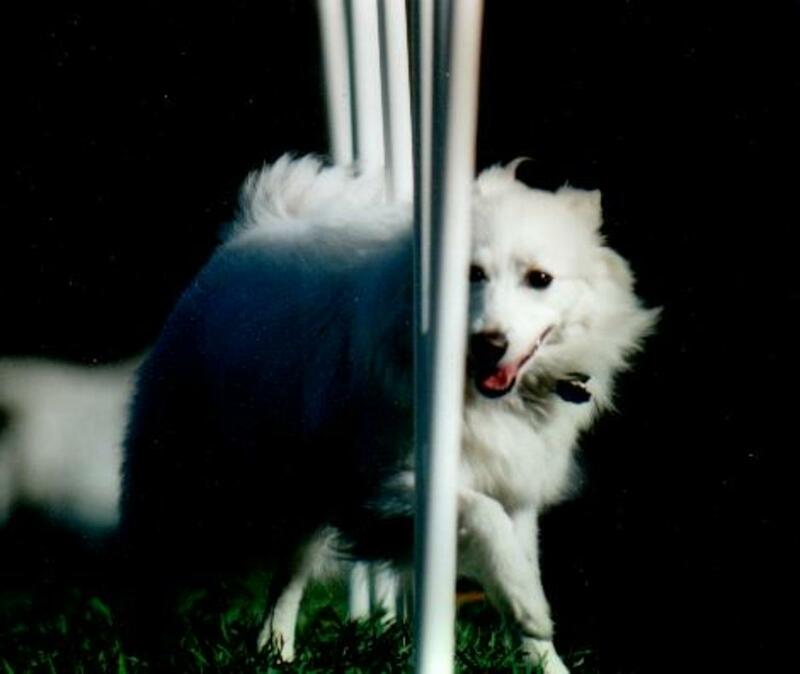 Listening to them evokes strong memories of my dogs and former agility events, or they bring on emotions tied to future agility dreams. These songs can bring me to tears while at the same time emotionally pushing me to continue this incredible journey with my dogs. Other songs simply get me ready for action in the ring. These songs are designed to put me on edge. Whether I need focus or adrenaline, these songs provide the impetus to reach that plane. I often sing these songs in my head at agility trials like a mantra to continually push myself into the "fight or flight" state of mind I wish to achieve before a run. As you develop your agility playlist, sit and think about what your mental game needs. Do you need focus? Do you need motivation? Do you need to be calmed before a run? Do you need to be ramped-up before a run? 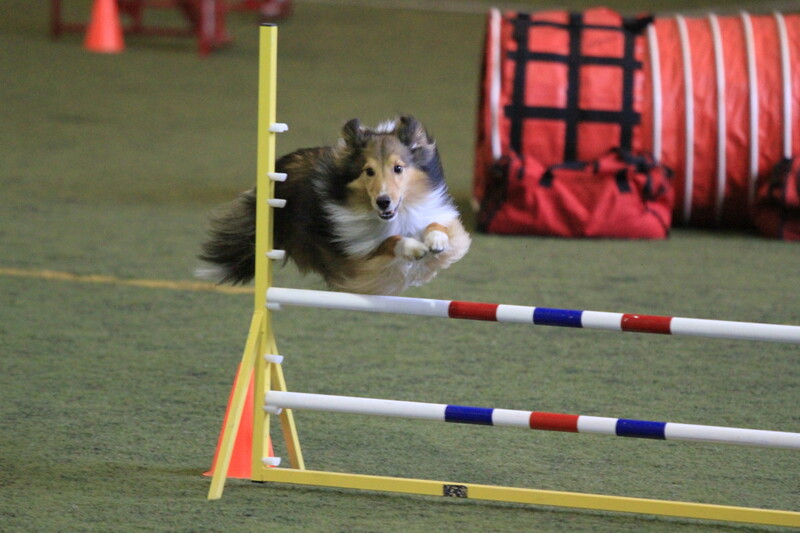 With that in mind, begin to gather the music that means the most to you and will help you move to the emotional place you need to be during an agility trial. Below I list some of my favorite agility songs. I've also included videos next to the songs, so you can listen to them right here. Some of the videos are my own agility "music videos." Other's are the artist's own official music videos or lyric videos. While your tastes may vary greatly from mine, this list is designed to get you thinking about your own playlist, and you may be surprised to find a gem you never considered in the songs below. This iconic sports song is heard at sporting events around the world. Its uplifting lyrics about overcoming to be the best can boost sports fans into a frenzy. It can boost agility handlers too. This song not only has the lyrics to help with confidence, but the melody has emotional power as well. There's a reason this song is used over and over again in sports. "I've paid my dues. Time after time. I've done my sentence, but committed no crime. And bad mistakes. I've made a few. I've had my share of sand kicked in my face, but I've come through. We are the Champions my friend. And we'll keep on fighting to the end." One of my top agility songs, this Kenney Chesney country song speaks about the sweat, hard work and sacrifice required to reach any dream and competing in agility is definitely a sacrifice. The top teams spend thousands of hours preparing for competition. Physical conditioning for both human and dog, fixing equipment, building courses, reading books and articles, shopping for the right gear, attending agility classes and seminars, training, going to trials: it can't all be done without sacrificing other parts of life. But the sacrifice and hard work pay off when show time comes. "This is our destiny. Our time to shine. This is our moment. This is our time." This is great song for getting the mind prepared to attack an agility course and for building confidence and motivation. I'm singing this in my head often both during agility practice and trials. I'm a big believer in having dreams in life. Whether those dreams are oriented toward family, faith, job or sports, dreams help make life sweet. Yet so often, people are afraid to dream. This song joined my agility playlist in 2007 when my sheltie, Aslan, qualified for the AKC Agility National Championships. We had qualified before, but due to entry limitations at the time, did not get to go. This was our first Nationals to actually attend. I was so excited. It was the culmination of a dream. Aslan was going to run with the elite. Many of the lyrics in this song are very personal to me, but they resonate globally as this song is widely used as a motivational song. "I hope you still feel small when you stand beside the ocean. Whenever one door closes, I hope one more opens. Promise me that you'll give faith a fighting chance. And when you get the choice to sit it out or dance. I hope you dance." Get out there with your dog and dance. One of the rock songs I use to get me going mentally, physically and emotionally before an agility run. Running my fast dog Asher is very much like livin' on the edge. I always feel like we are holding on to the run by our fingernails, or in his case, claws. The strong rock beat and the lyrics about living life on the edge make this song one of my "singing in my head before a run" songs. My theme song for the 2008 Nationals, this classic talks about overcoming and pushing through obstacles to reach a dream. It even discusses that theme in English and French! What could be more "International" agility-like than that? "When you see your ship go sailing. When you feel your heart is breaking. Hold on tight to your dream." Thank you ELO. I will. This is probably my all time favorite song on my agility playlist. I've listened to this song hundreds of times. I can sing it in my sleep. Well, not nearly as well as Miley Cyrus, but I can sing it—sort of. This song is great for motivating you when you're down, building you up when you're crushed and even making you happier when you're already happy. A song about struggling, mountains and the journey, this song even talks about beating the mental game. What could be a better song for putting you in the right frame of mind before an agility trial? "Ain't about how fast I get there. Ain't about what's waitin' on the other side . . . . It's the climb." Now, please, don't dis' me. I have this song on my agility playlist because it's a good "overcoming the odds" song. That being said, it's not my favorite, but because I know it's so many other people's favorite, I had to include it in this list. "Don't stop believing. Hold on to that feeling." Very motivational. Now, if someone could please tell me, what are "street light people," and am I one? 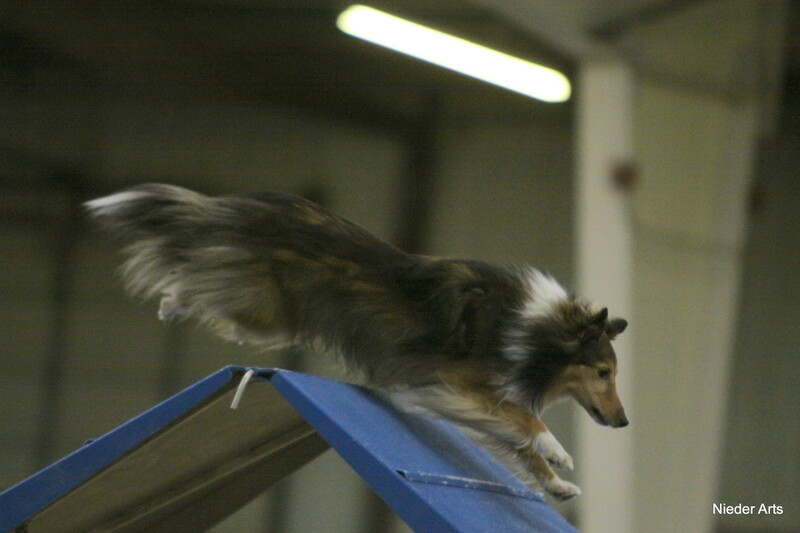 Another song that's popular in sporting arenas around the world, "Crazy Train" describes some agility runs perfectly, and it often describes what I leave out on the agility course. This song is one I use as a way to elevate my mood just before a trial. "I'm going off the rails on a crazy train." I know it's Ozzy Osborn but give it a listen. It really is rather catchy. "All aboard" for this is going to be a fun, fly by the seat of your pants run! And Ozzy is our engineer. Watch out! When I compete, it helps my focus if I'm a little mad. This song helps push my mental game toward that end. An "us verses the world" song, Switchfoot sings about being pushed down and rising up again. "Wait! It's not over now. We've been down, but we've never been out. Yeah, we are the dark horses." This song is filled with hope in the face of adversity. It's a song for the underdog, and in the case of agility, you can take that term literally. It's a song about beating the odds. 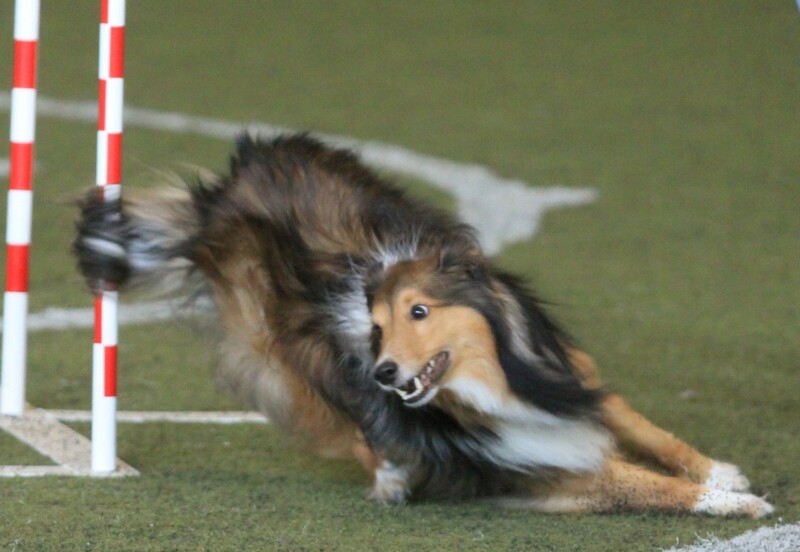 All agility teams feel like underdogs at times. Occasionally, we feel pushed down and crushed by life circumstances or other people. This song can help build confidence and give the handler an attitude: "You think we can't do it? Just watch!" This "us against the world" mindset is used often by coaches to motivate their teams to play harder and increase focus in order to prove their nay-sayers wrong. Those who could benefit from having that kind of an angry motivational mental attitude might find this song a must have on their agility playlist. "We don't care what they say. We know we'll find a way. We are the dark horses." Ah, Steppenwolf. 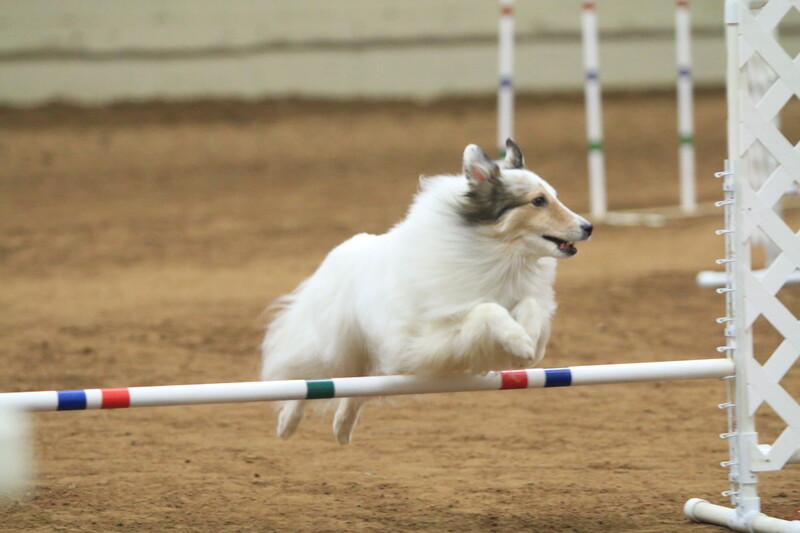 Everyone knows "Born to be Wild," and as it perfectly describes my insane sheltie Asher, it had to be a part of my agility playlist. "I like smoke and lightening, heavy metal thunder, racing with the wind, and the feelin' that I'm under." Who doesn't like racing with the wind with their dog? Who doesn't hear, smell and feel smoke, lightening and thunder after a run goes into the zone? "Like a true nature's child, we were born, born to be wild." Another classic "get the game on, go play" (hey, that's in the lyrics!) song, this song can get me bold, brazen and ready to play. This is a song almost anyone can love. After all, it's got a good beat, and it's easy to dance to! "Hey now, you're an All Star. Get the game on. Go play. Hey now, you're a Rock Star. Get the show on. Get paid." And for those of you wondering if you're agility style is a bit odd, remember what Smashmouth says, "Only shooting stars break the mold." This is one of the newest songs to my agility playlist, and Fun is one of my favorite new bands. As I wrote an entire article on this song and the 2013 Nationals, I'll just refer you to that article rather than reinvent the wheel describing the emotional pull of this song: "Carry On" Competitors of the 2016 AKC Dog Agility National Championships. Let's find out what music agility competitors like best. What is your favorite genre for your agility playlist? I love music and at any given time there is a song being "imagined" in my head. This, studies indicate, is a good thing especially if memory and focus are needed. Before most of my runs, I'm singing a song to myself or even softly to my dogs. I always thought this was a good way to boost me emotionally and get me "on my toes" for a run, and science seems to back up what I already instinctively knew. As you create your musical playlist, don't forget to be humming your favorite song in your head before your run, and don't forget to be listening to your playlist as well. "Lighting up" your brain for attention and focus before a run can't be bad! As said above, music is very individualized. There are thousands of songs that could go on an agility playlist. 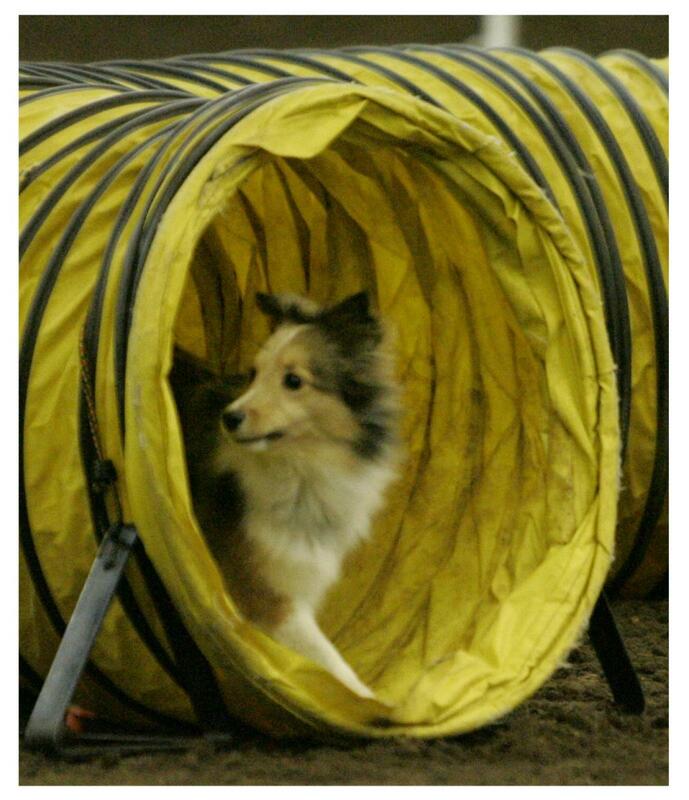 In the comments below, why don't you share what you listen to before an agility run? By sharing, you may help someone find a song that will push their mental game to just the right place. You do not need to register to leave a comment. You can comment as a "guest user." I'd love to hear your agility playlist!! 1000hp by Godsmack- my absolute favorite dog agility song! Thanks for all the great music ideas. I don't have a playlist, but I've used "Chasing the Sun" by The Wanted for agility video compilations. Here's a new one for my agility playlist. Applause, by Lady Gaga. Thanks for your list. I'm always looking for good ones. Listening to music before a run absolutely makes a big difference in my mental outlook, especially when I'm tired or nervous. It just kind of freaks people out when I leave my ipod (old one) on the ground outside the ring with Cassie's bait pouch. But I don't worry. I suspect it could survive being stepped on. I don't do agility... but I'm thinking about it. I do teach swim lessons to very small children though and in researching agility I see a lot of parallels ;-) I always like Uprising by Muse. Motivational and us vs. them. Btw I'm really enjoying your articles. Wow viking305! Thanks!! I learned a lot researching for this hub and was glad to see my innate need to sing and think of music before my runs made scientific sense. Thanks for dropping by!! A fascinating insight into the world of dog training and competitions. Very well written and interesting. Shared on Twitter and pinned. I really like Nickelback, and I don't know that song. I'm going to definitely check that out!!! Thanks for the song tip!! I like the heavier rock songs to get me pumped up for a run. Two of my favorites are "Fuel" by Metallica and "Burn it to the Ground" by Nickelback.